When Waterloo station opened in 1848 the Industrial Revolution was at full steam, nudging the population of London towards an unprecedented 2.5 million people. As families packed into cramped, decrepit housing amongst appalling sanitation, regular outbreaks of smallpox, cholera, typhoid and various other diseases became commonplace… in 1850, the average life expectancy for those living in the capital stood at just 43. A hellish vision of Victorian London… ‘Over the City by Rail’ by Gustave Dore. 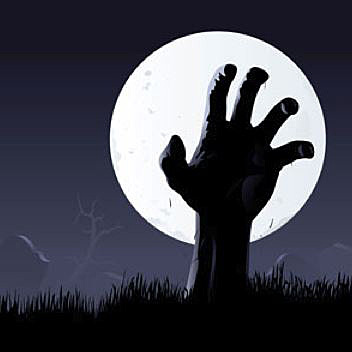 With Londoners dying in such vast numbers the city’s graveyards quickly found themselves overwhelmed and unable to cope. 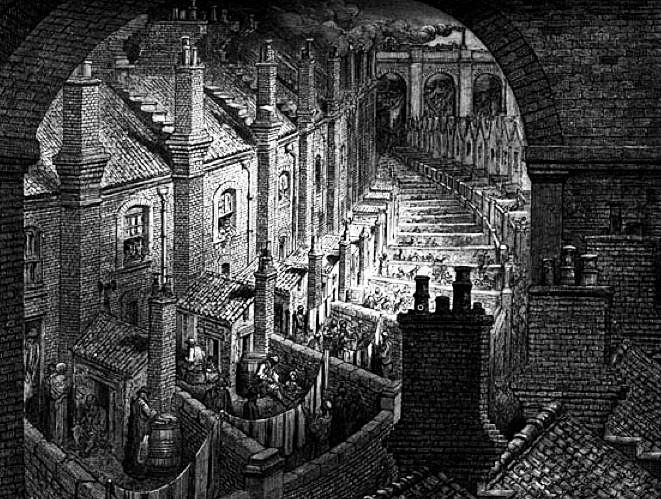 Southwark’s Cross Bones burial site for example was so packed by the early 1850s that there were reports of fresh corpses poking through the thin layer of topsoil. In response to this burial space crisis an Act of Parliament was passed in 1852 which established the London Necropolis & Mausoleum Company, a group charged with the task of creating a single, massive cemetery- a ‘City of the Dead’- where it was hoped all of London’s corpses could be interred. A plot for the huge burial site, with the “requisite qualities of solitude and retirement” was secured 25 miles outside of London at Brookwood on Woking Common, Surrey. At 500 acres, the cemetery was the largest in the world when it opened and is still the biggest in Britain today. Although the new cemetery lay some distance from the capital the LNMC intended to maintain a firm connection with a unique innovation…the ‘Necropolis Railway’; a private transport link scheduled to operate out of London’s Waterloo. 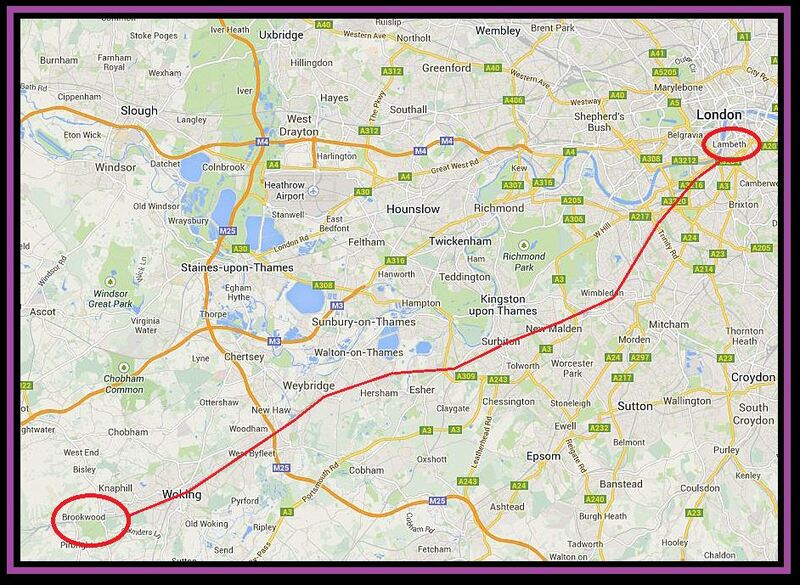 The Waterloo to Brookwood Necropolis route. 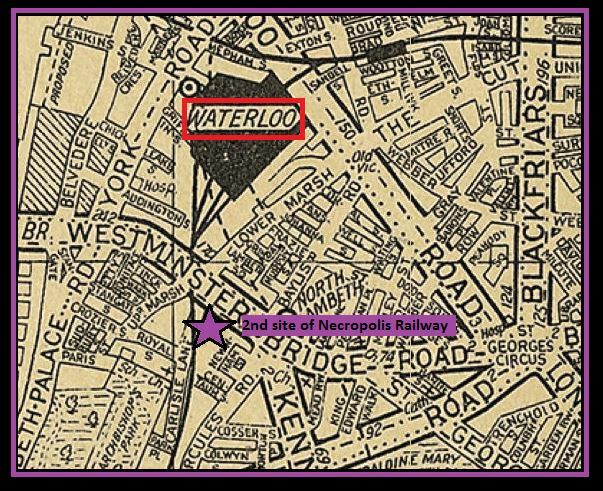 Waterloo was chosen due to its proximity to the Thames (sites at Battersea and Nine Elms were also considered for the same purpose); the idea being that bodies could be delivered easily to the station via river from most parts of the metropolis. After being unloaded from the boat, coffins would be placed upon a horse-drawn hearse for the short trot to the Necropolis station which, although incorporated into Waterloo, was kept distinctly separate from the rest of the terminal with discretion considered the utmost priority. Once at the private station, coffins would be transferred up to platform level via a steam-powered lift and loaded onto an awaiting funeral train. Mourners of the deceased would also board the service, taking time to grieve in special waiting rooms before embarking on the 45 minute journey to Surrey. ­Like other rail services at the time, passengers- both living and dead- had a choice of three classes. 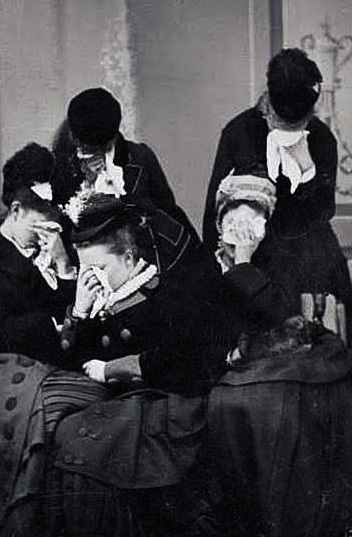 Whilst first and second class mourners travelled in comfort and had a say in the funeral’s arrangements, third class carriages were designated for paupers whose cheap tickets and flimsy caskets were paid for by their local parish. As well as class, the carriages for both coffins and passengers were also segregated along religious lines- with separate coaches for Anglicans and Nonconformists. 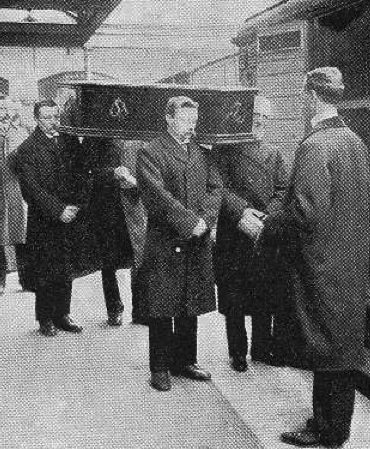 Pallbearers placing a casket onto one of the Necropolis Railway’s coffin carriages. 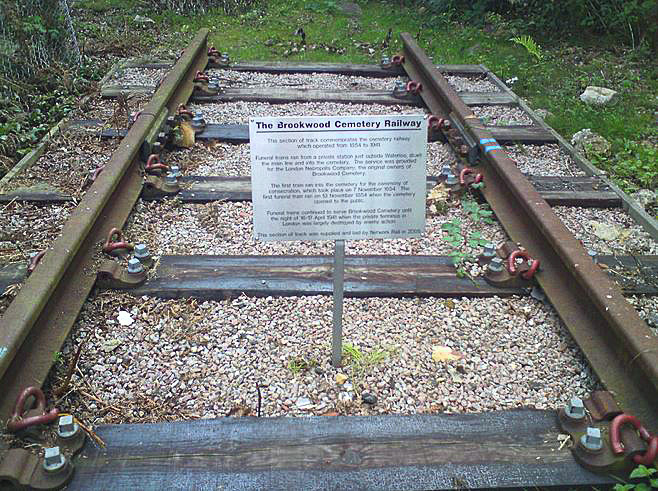 Upon arrival at Brookwood, the funeral train would shunt onto a branch line which ran directly into the cemetery. 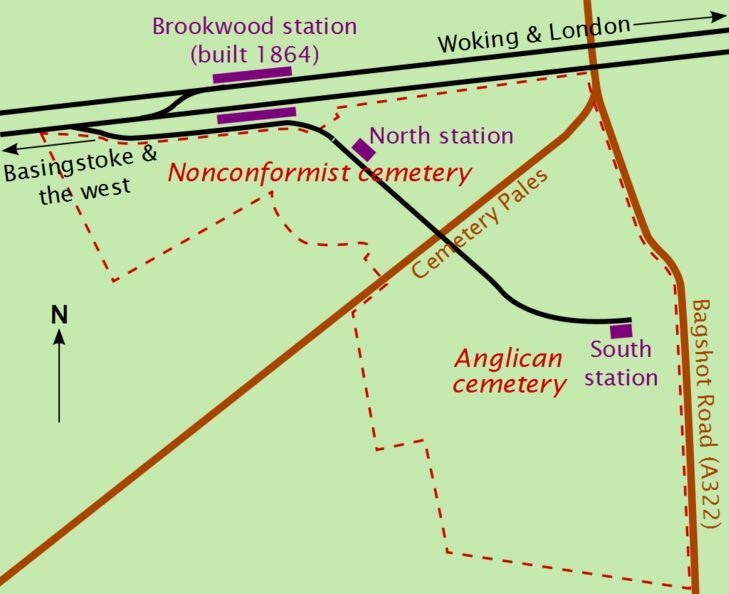 Two stations served the necropolis; the north terminal for Nonconformist burials and the south terminal for Anglicans. As with Waterloo, each station at Brookwood contained segregated waiting areas… and licenced refreshment rooms, which could prove rather tempting for railway staff as they awaited the return journey- there is at least one recorded occasion of an engine driver becoming so drunk his fireman had to drive the train back to London! Brookwood North Station (for Nonconformists) pictured in 1907. On the 7th November 1854 Brookwood Cemetery was consecrated by the Bishop of Winchester and the Reverend L. Humbert of St Olave’s, Southwark who travelled to the ceremony on-board one of the new state of the art services. A Necropolis Railway engine hauling mourners and coffins. Several days later, on the 13th November 1854, the Necropolis Railway was ready for its first booking- a tragic pair of baby twins who had been stillborn to a Mr and Mrs Hore of Ewer Street, Borough. Necropolis Railway platform at Waterloo- distinctly separate to the main terminal. With first and second class burials taking priority, problems arose as bodies of society’s less fortunate began to pile up. 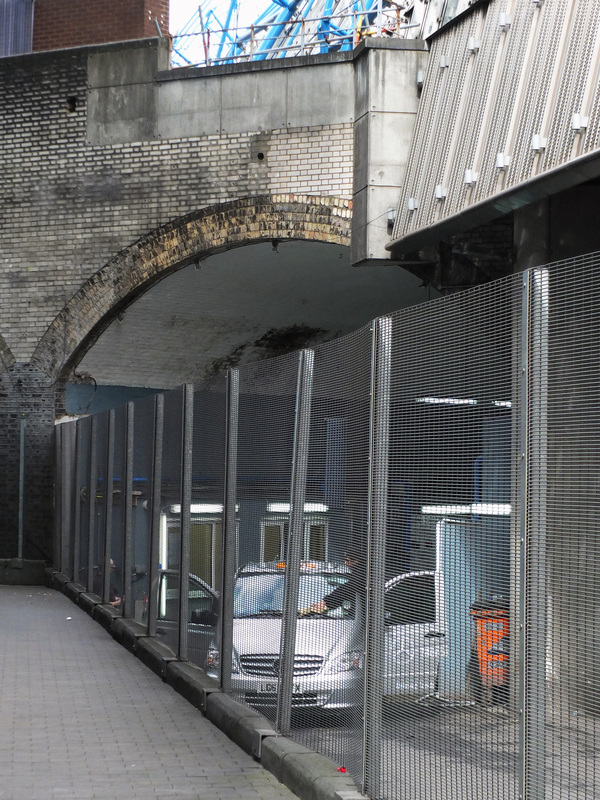 As a quick solution, the company decided to stash the surplus corpses inside a series of arches stretching from beneath Waterloo station up to Westminster Bridge Road- a viaduct which, at the time, cut through the most densely populated area in Lambeth. An old arch- now in use as a car wash- close to the location of the Necropolis Railway’s former Waterloo base. 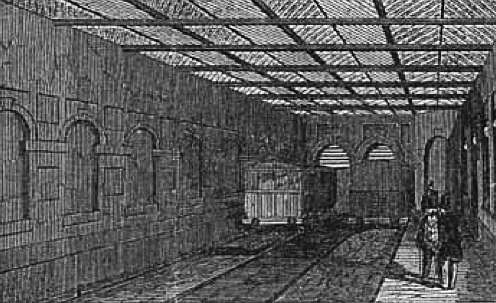 When this grim practice was exposed concerns were raised that the corpses, languishing “in the last stage of decomposition” and “heaped up together like so many bales of worthless goods,” would potentially spread disease within the neighbouring community and would send a foul “effluvium” wafting up through Waterloo’s platforms. At the turn of the 20th century Waterloo station underwent a large expansion which required the Necropolis Railway terminal to relocate a short distance away to Westminster Bridge Road. Although the­ first Necropolis site has been swept away leaving no trace, part of its successor, which opened in 1902, can still be seen today. The remaining building is now an unassuming office block known as Westminster Bridge House. 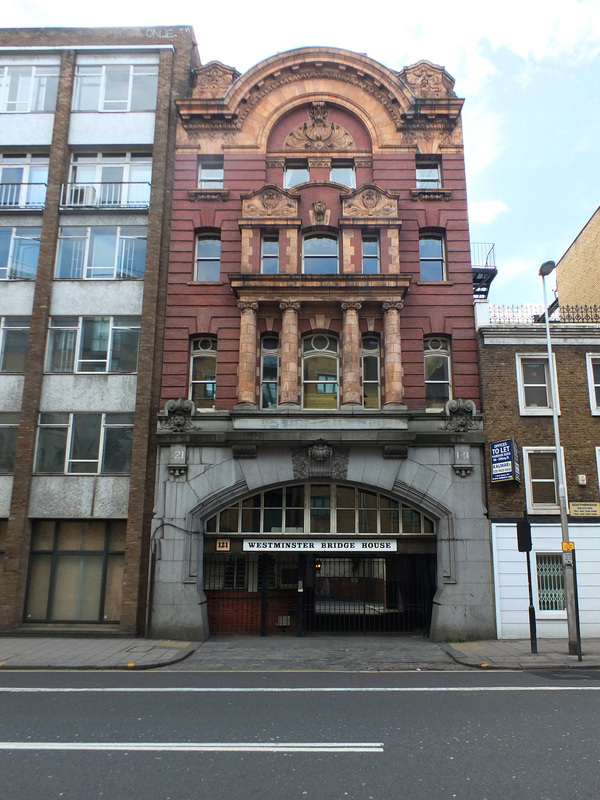 Remaining section of the Necropolis Railway’s second home, now renamed Westminster Bridge House. Peeking into the former Necropolis reception area. 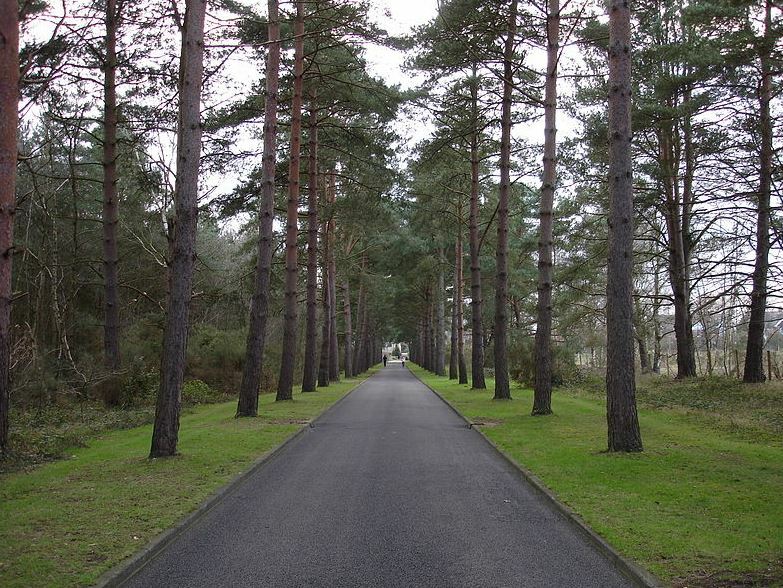 When first conceived, it was forecast that Brookwood Cemetery would take up to 50,000 burials per year. 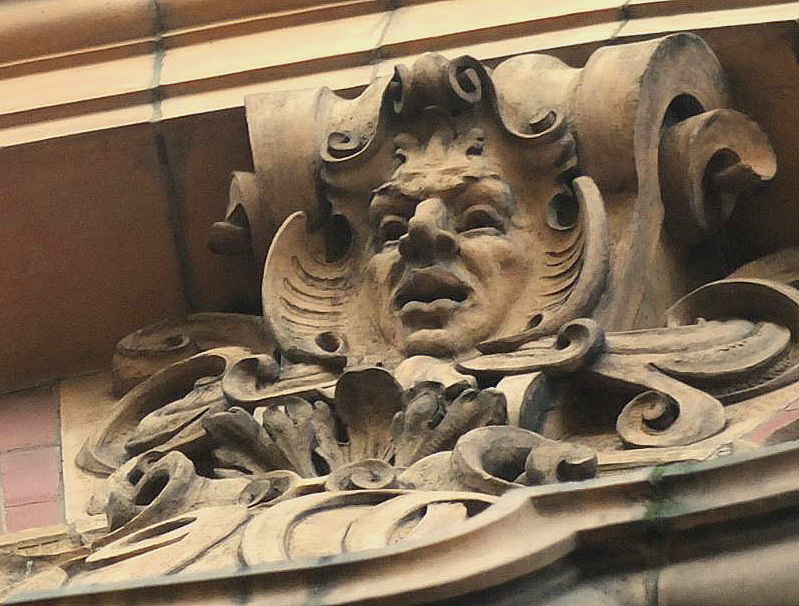 Architectural detail from the Westminster Bridge Road station. 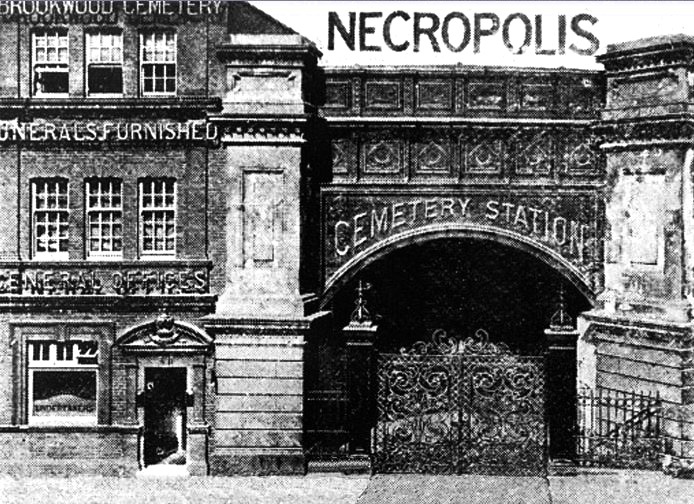 However, as large cemeteries within London such as Kensal Green, Tower Hamlets and West Norwood developed, ‘passenger’ numbers on the Necropolis Railway dwindled- the figures no doubt also affected by improvements in London’s sanitation and the formal introduction of cremation in the late 19th century. In the end, the railway dealt with 203,041 burials during its 87 years of service, a figure way short of the original estimate. 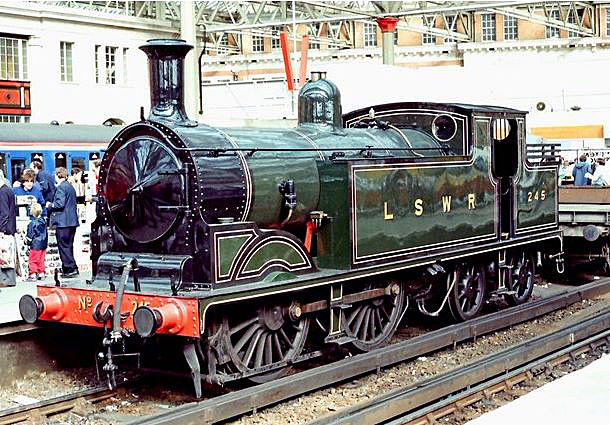 A London South Western tank engine- the type of model used on the Necropolis Railway during its final years (image: PL Chadwick via Geograph). 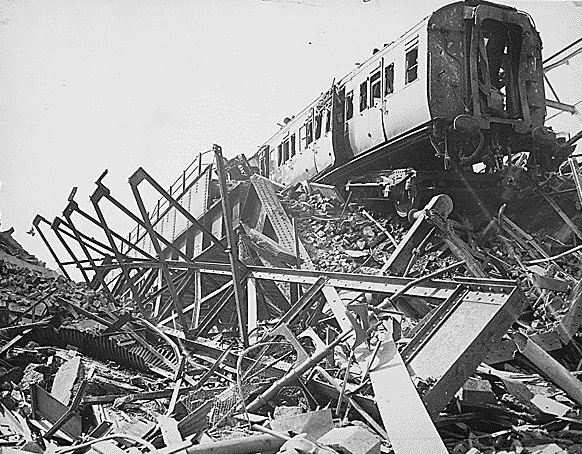 The final nail in the coffin (so to speak…) came on the night of 16th April 1941 when the Westminster Bridge Road depot was pounded by a massive air-raid. 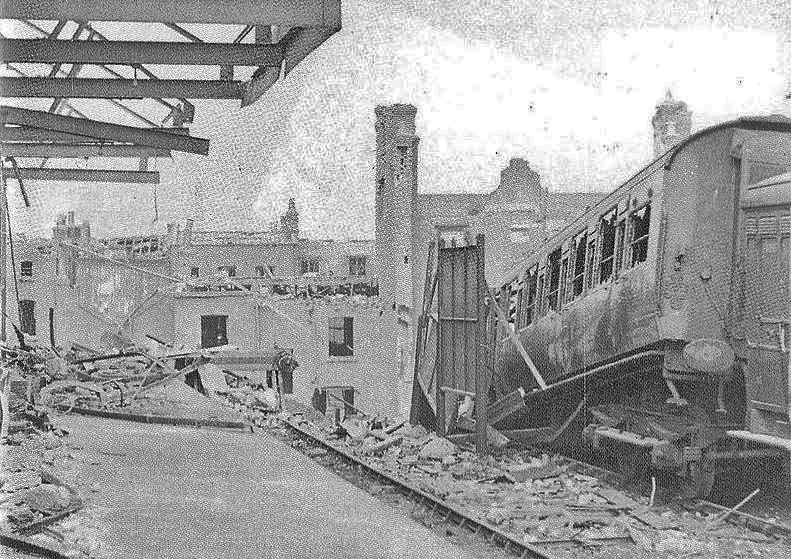 Aftermath of the air-raid which struck the Necropolis depot. Tracks were shattered beyond repair and the funeral carriages (which had originally been designed as coaches for the Royal Family in the early 20th century) were smashed and consumed by flames. Street level view of the destruction, April 1941. The business limped on, switching to the main platforms at Waterloo, but it soon became clear it was not cost-effective to repair and maintain the service. The Necropolis Railway carried its final body- that of 73 year old Chelsea Pensioner, Edward Irish in May 1941 and was officially dissolved at the end of the war. Thank you for so much interest information. 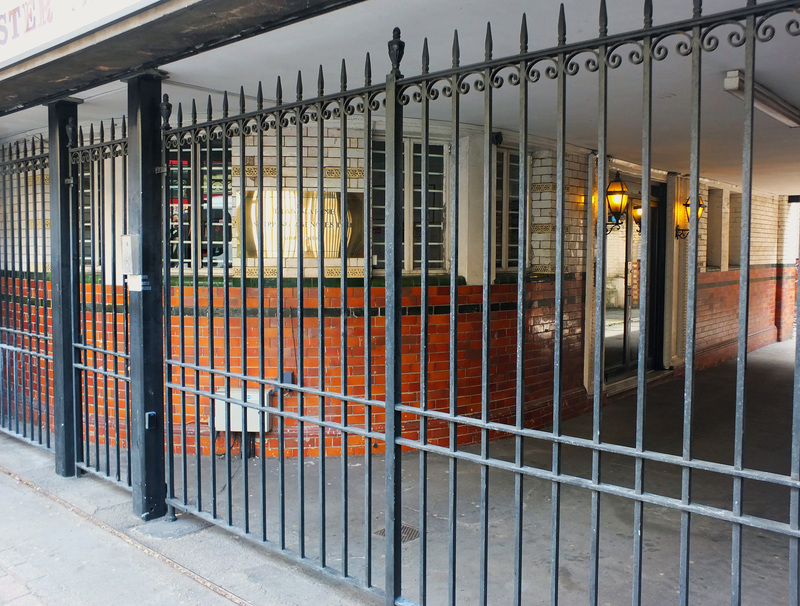 I live in SE London – but you have made me realise how little I know! What an interesting post. I knew a little about the Necropolis Line, but you really brought it to life. (No pun intended). Thanks so much. That’s really kind of you to say, merewoman. Don’t mind the pun! 😉 Many thanks. Fantastically interesting post; This is something entirely new to me. Loved it–thanks! I am not sure if i remember correctly, but I thought that trains were still going to Brookwood in the sixties…normal trains, that is. Super post, I’ll be following. Hi Helen, you’re quite right…and there is still a station at Brookwood for trains to Waterloo! Thank you so much for the kind words and for following my blog. Amazing. I had no idea such a line ever existed. You should put together a book and I’ll be first in line to purchase it! Well done great article, love the way you write. There is so much to be got about society from these glimpses of life. Fascinating Robert, thanks once again.